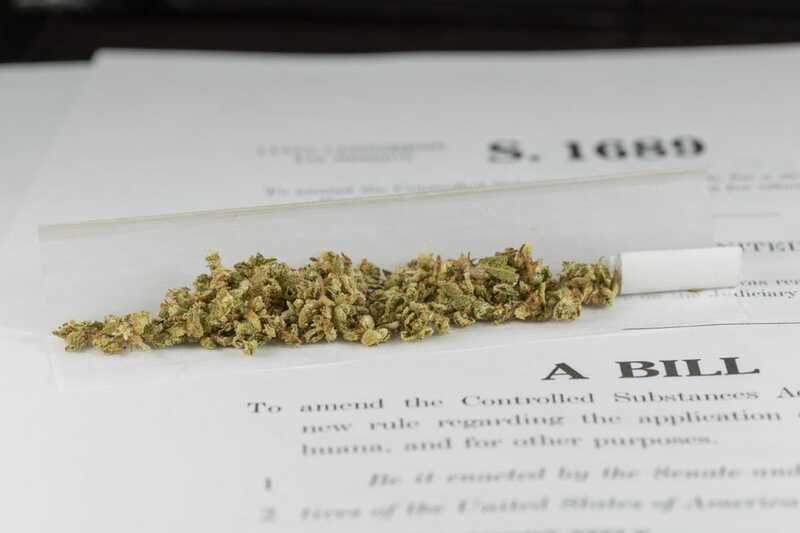 RFRA and Church of Cannabis: Partake or bust? 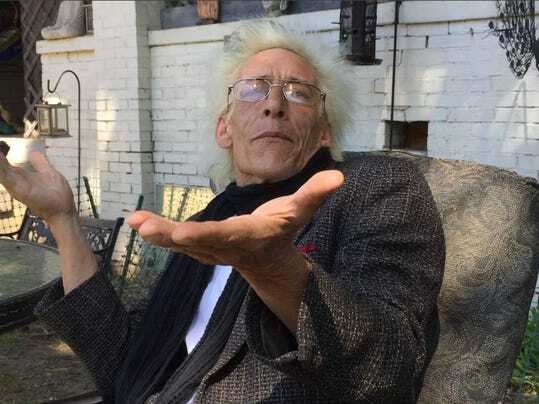 Question: Bill Levin, an Indianapolis resident, said he plans to hold the first services of his newly created, marijuana-devoted First Church of Cannabis on July 1, the day Indiana’s Religious Freedom Restoration Act goes into effect, to test the new law. How should police and the state handle the situation? • They should ignore it. The war on (some) drugs has been an unqualified failure, needlessly destroying countless lives and trashing the precepts of our Constitution. Considering that the original federal RFRA was passed to protect the religious use of peyote, I think this is a perfect response. • Arrest him, and let him try his defense. I assume that’s what he’s expecting. Surely he’s not as stupid as the people who attacked RFRA as if it gave carte blanche. • This is why we have the Establishment Clause: the minute you start getting the government mucking around with religion — as RFRA does — you get into all sorts of nasty corners, like this one. The law is pretty clear the state cannot interfere with their religious behavior, so this this is an example of "hoist on one’s own petard" in action. • Presumably he will be supported by all Christians who supported the law in the first place. The police should go investigate real crimes. Be careful what you wish for, Christians, you might get it. • I don’t think drug use is covered under the law. I say bust him. • Well, they wanted to protect "religious freedom" with this law, didn’t they? Since when should the government determine what qualifies as a religion? This is what happens when we try to mix church and state. • Abe Lincoln asked, "If you call a dog’s tail a leg, how many legs would it have?" His answer: "Four. Calling the tail a leg doesn’t make it a leg." Calling a criminal enterprise a church does not make it a church and should be punished as a crime. • If you think this case is a problem, be glad they amended this monstrosity, or Indiana would be headed toward daily media humiliation. This case is directly similar to the one that started the federal RFRA. • I thought the new law was to protect the religious rights of all people? How about the Flat Earth Society? I have it from good authority that in the Star Trek Universe, there is a Flat Universe Society. • The media created the controversy by exaggerating RFRA to make Gov. Mike Pence look bad. They got their wish. Liberals tend to be the master of unintended consequences, so most rational Indiana residents already expected this type of action. Expect more legislation, more unintended consequences, more wasted tax dollars. • Join them. Sarcastically, it’s pretty much like I said when you asked a very similar question last December before the state legislature convened: "You’ll see recreation marijuana legalized long before selling ‘to go’ alcohol on a Sunday." • Any law enforcement or state officials that show up should "take communion" just like everyone else attending the service. • Close the church down, it is illegal in the state of Indiana. • Shut him down and treat him to a period of time in jail. He is trying an illegal scam, and it will not work. • The exact opposite of how they probably will handle it. Honest to goodness. • I think it is obvious — if it fits the law, then leave them alone. • This is what no one needs. This is Indiana, for goodness sake. Obviously, one of the more conservative states and this sort of weirdness only makes the underlying message more difficult to get out and for the public and for businesses to take seriously. • If he is following the RFRA, and if the act is to allow religious freedom, what can they do? There is nothing in the law to prevent this church from practicing the rites of its religion. • Let Bill worship his idol, pot. But, should Bill or any of his followers hurt someone when "all hopped up on dope," the penalty is clear. Bill claims no faith in religion; me, either. My faith is in Jesus, who said, "No one comes to the father but through me." • Lock them up and throw away the key. • The police and the state should attend the church of their choice. • Why should the police or the state get involved unless their newfound religion is infringing on someone’s rights? The less we have Big Brother controlling our thoughts and actions, the more liberty and freedom citizens can preserve. • Under the law for Indiana and marijuana, this would be a criminal act. Indiana police and the state should treat this fairly, as any one who breaks the law. I would hope the dealer’s arrested and faces Indiana courts, as anyone who commits a criminal act.